The City of Duluth has an interesting long-term vision for Central Entrance. They, along with area residents and businesses, see it as having the potential to be an inviting and attractive destination within the City. They would like it to function as the “main street” of the Duluth Heights neighborhood and become more walkable with better access to area businesses. Which is almost hard to imagine, if you agree with the many other residents who currently regard Central Entrance as basically unpleasant—as a road to be tolerated while running errands or going to work, if not outright avoided. Our Central Entrance Corridor Study, currently underway, aims to identify ways to improve the transportation experience for everyone, drivers and non-drivers alike, who travels along that roadway. Specifically, we are examining the transportation network in this area and identifying changes that will make the corridor more compatible with the vision for the future land use. The ultimate objective is to maintain traffic mobility and flow, while improving safety and that sense of livability that a “town center” or “main street” implies. As part of our planning process, some of the data we’ve collected so far includes information about the roadway such as sidewalk locations, bike routes, transit routes and stops, driveway access points, traffic counts, traffic control locations and types, and crash information. 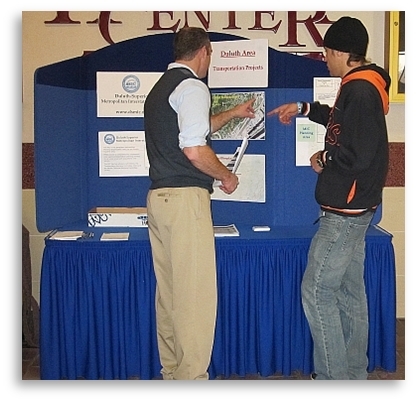 We also conducted a survey to assess people’s attitudes toward traveling on Central Entrance. Postcards were mailed to 3000 residents and businesses in the area, inviting them to go the MIC website and take an online survey and more than 100 people responded. We asked them to rate the following characteristics— traffic congestion, passing other vehicles, pedestrian safety, speeding traffic, making turns and accessing local businesses— on a scale of very bad, bad, acceptable, good and very good. How do you travel along Central Entrance? An overwhelming number (95%) travel the corridor by car and over 90% make at least two trips through the corridor per week. Over 55% make at least six trips per week and 28 % make 10 or more trips per week. What are your destinations on Central Entrance? Many people traveling through the corridor have multiple purposes for their trip. Access to shopping and services was the top weekday trip purpose chosen by 85% of respondents. Work and social activities were destinations identified by just over half of the respondents. Travel times during the week were heavily weighted toward morning (6-9am) and afternoon (4-6pm) peak travel times for work destinations and toward evening times (4-10pm) for those heading to social activities. Weekday shopping travel was evenly spread throughout the day. Weekend users of the corridor indicate that shopping, social activities and recreation were the primary destinations. Travel times on the weekend were mostly during the daytime hours of 9am – 6pm. Do you ever avoid traveling on Central Entrance ? 80% of respondents replied that they did. When asked why, almost 90% listed congestion as the primary reason and 72% had concerns with excessive travel time. Pedestrian safety was rated the lowest—between “Very Bad” and “Bad”. Traffic congestion, speeding traffic and making turns were three other areas that ranked low. Overall rating of Central Entrance? Almost 65% chose “bad” or “very bad.” Only 6% chose good or very good and almost 30% chose acceptable. It’s fair to say that those surveyed do not view Central Entrance in a favorable light. So our job—finding ways and making recommendations to make pedestrians (like the fellow in the picture, above! ), bicyclists and transit users, as well as drivers, feel more comfortable along that corridor. Are these survey results consistent with your view of that roadway? Do you share the City’s future vision for the corridor as a neighborhood center—not place to be avoided but an attractive destination? 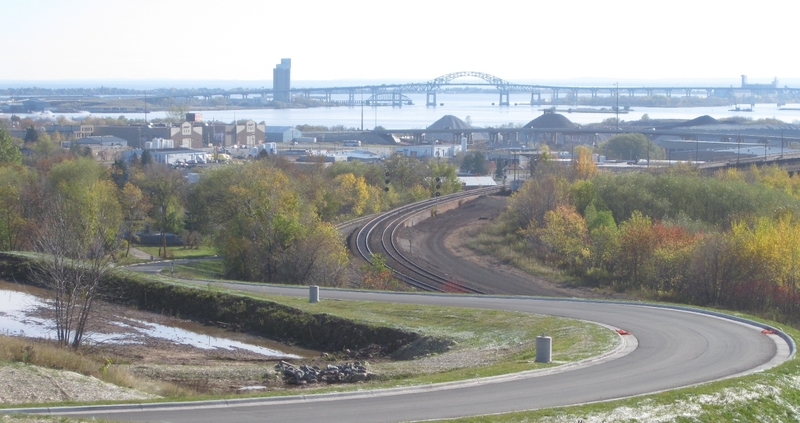 As the MPO for Duluth-Superior metro area, it’s our role to work with local jurisdictions to identify, plan for and program how federal transportation funds get used in the region. Since transportation projects can be big, expensive, and time-sensitive (i.e. they need to be coordinated with adjacent infrastructure projects), they need to be planned for in advance – we’re already working to line up funding for construction projects that won’t begin until four years from now. We are part of a process that is now underway to divvy up about $40 million in federal highway transportation funds for projects throughout the Arrowhead and Northeast Minnesota for 2016. A mile of roadway can cost almost a million bucks to repair. Now consider that the Duluth-Superior area alone has more than 350 miles of roads eligible for federal funds and, well, you get the picture. There are a lot more maintenance and construction needs than money to go around. So, not every project can receive federal funding. That’s where the MIC’s prioritization process comes in. 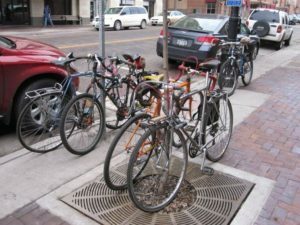 Every year, jurisdictions in the Duluth metro tell us which projects they’d like to use federal funds for and we work with our Technical Advisory Committee (TAC) and Policy Board to decide which ones are the most important for meeting the current and future needs of our transportation system. Road projects are a public good paid for with taxpayer money, and therefore the local citizens have a right to weigh in on such decisions, along with planners, engineers and elected officials. This year, the following transportation projects will be prioritized for our area. All of them are intended to use your gas tax dollars to improve the region’s transportation system. Do you have any opinions about which are more important to our area? How would you rank these proposed projects if only 2 or 3 could be chosen? 3) Call me with questions or comments–Robert Herling at (218) 529-7573. Although it’s only January 2012, NOW is the time to give us your input on these proposed projects before funding decisions are made for 2016. You have three ways to let us know.